This residential style, 3 bedroom / 2 bathroom, home is located in the Villas Foxglove townhome complex in the Upper Village. It features an open living & kitchen area, wood burning fire place, patio with BBQ, and a very home-away-from-home feel. Its perfect location is walking distance from the Whistler outdoor destinations of Lost Lake Park and the Chateau Whistler Golf Course. 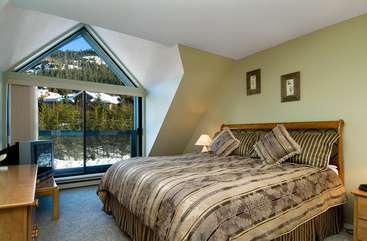 The Wizard Express chair lift on Blackcomb Mountain as well as the Whistler Village centre are located just a short walk or a shuttle bus ride from the unit. • Secure underground parking for one vehicle & one visitor parking pass available (first come first serve basis); Garage height 6'10"
The place is well-equipped and very comfortable. 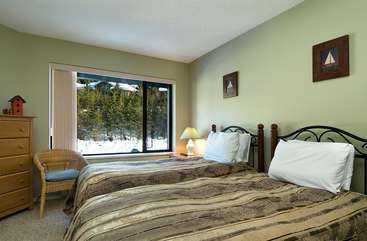 The location is right near the bus stop, which is about a five minute ride to the resort. The garage is easily accessible as well but we didn&#39;t even need our car once we arrived. The code on the door made it easy to coordinate with other guests arriving at different times. It was a perfect, reasonably priced place for a large group. I would definitely stay there again. Thank you for such a great review. 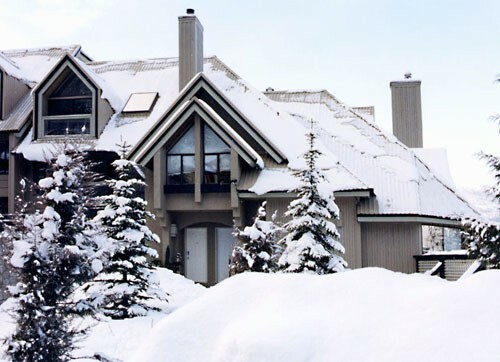 We take great pride in keeping our homes well maintained and easily affordable for our guests.We look forward to seeing you again soon and please do not forget to book directly with Blackcomb Peaks Accommodation and receive 10% off your next stay. Nice quiet location. Very roomy condo was ideal for our long weekend. Some wear and tear but to be expected for a Whistler rental. We would stay here again. Thank you for such a wonderful review. We look forward to another vacation with you. You are correct, as our homes do get used frequently we make sure each off season to do a full deep clean and touch up our homes with some much needed TLC.All the Best! Everything was great till there was a power outage which means a complete blackout. No back up lights aNY where and no flash lights or candles. So we left a bit worse for wear. I emails black comb accommodations but never heard a reply. 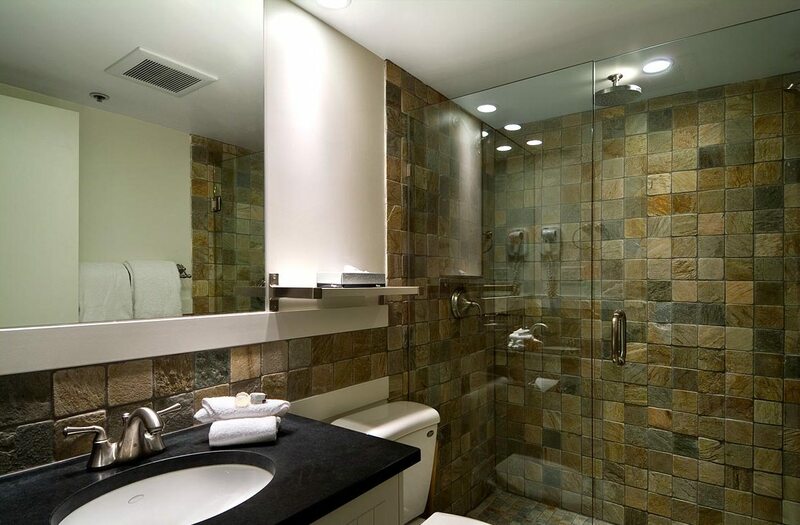 But the main bathroom the towel bar kept falling off and the shower controls are off the walls and backwards on one's side and barely works on the other side. Broken closet door for laundry and sticky railings and spat out drinks on the walls... couches hadn't been vacuumed out.... yuck. Besides a bit dusty the beds and bedrooms were good. We had a very nice visit over the Christmas weekend. The place has two flights of stairs and could have been a little cleaner. The grill ignitor did not work nor did the lighter in the kitchen. We called this in and were not sure of the response since we had to unplugged the phone due to a constant barrage of telemarketing calls. The place is really more ideal for families or people without young kids. The parking garage was also too low for us to fit our highlander in with a roof to box. This was frustrating to have to park on the street during our stay. The property was in fairly good condition however the washer and dryer were terrible. It took 3 spin cycles to get the clothes somewhat dry enough to put in the dryer. The frying pans were not useable and the bunk bedroom was extremely hot even with a fan. No window to outside. We also couldn`t enter the property at 4 as the cleaning staff weren`t finished cleaning. Apparently there was a long term rental prior to us and there was a big mess to clean up. They did a good job of cleaning it. Does Whistler not recycle. We had to put our recycling in the garbage as there was no recylce bin in the garage and we didn`t want to leave it for fear of being charged $200 for leaving garbage! Really enjoyed out stay at Foxglove #8. Very suitable for a family. LOVED the bathrooms. Had a problem with the bunkbeds but they sent a couple of great guys to fix them right away. Overall we had an excellent stay at Foxglove. There were a few things that weren't working such as the main television signal being weak, or the bottom shower having the water lines backwards, or the lack of laundry detergent, but they didn't distract us too much since we brought our own entertainment (ps3 and netflix). The property was clean, had ample towels, and more than enough room for our group. Walking to the village took a little bit of time, but it helped that it was close to a free bus shuttle. Thanks again for the accommodations. The location was very convenient for our group traveling back and forth to the village several times a day. The home itself was comfortable, especially the beds. Our group of 9 had a great time using foxglove 8 as a homemade for 4 days. We just think that the home could use a nice deep clean and updated couches. The accomodations were great! 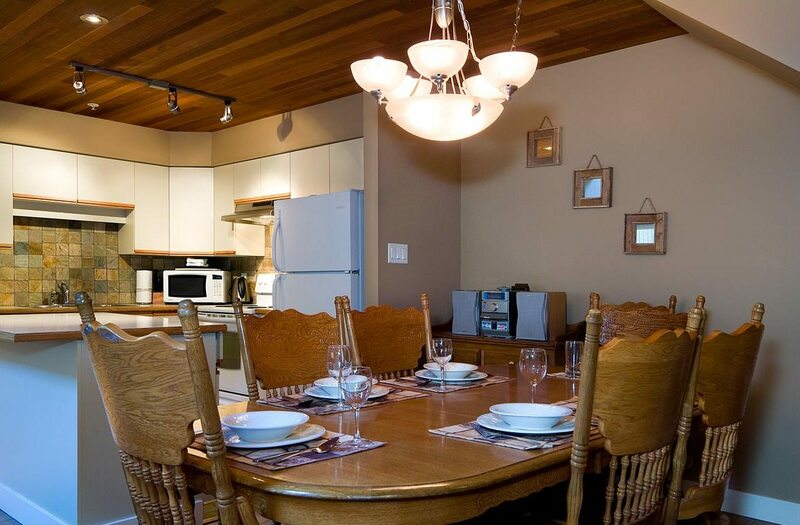 We enjoyed the spacious environment, everyone had their space and we could all enjoy a family dinner and time together after a long day of skiing! We will be returning to enjoy this property again. 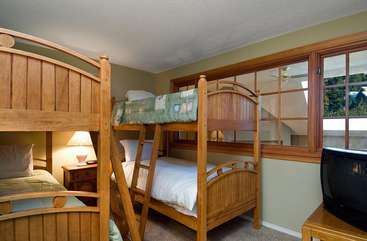 Excellent accommodations, close and convent to everything. About $6 can ride gets you to anywhere in the village. 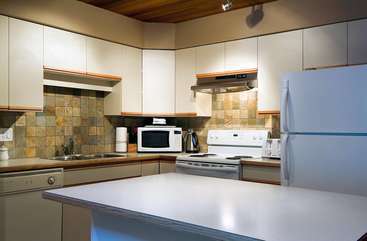 Very nice place, well kept, everything worked well and nothing was broken. Communication was also wonderful by the staff. Had a great time, Only problem was we had no T. V. & missed the live weekend football games from Britain, As we are all soccer fans & I got blamed for the Lack of T.V. 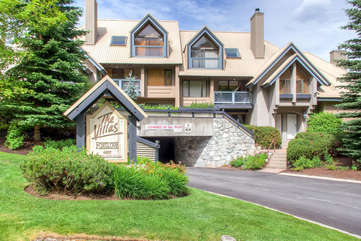 Great location for the free shuttle into the village or to the mountains. Reasonably priced accomodations. Clean and tidy. Needed a few property maintenance items repaired (kitchen faucet needs recaulking and some light bulbs were out) but the property manager was very responsive. Liked the iPhone app to check in and out and get information. Appreciated being giving us 2 parking passes and a late check out. This made a big difference to us. Very helpful management when we had concerns. A satisfactory experience in a great location .The property is located outside the noisy village proper but still close enough to walk (or take the free bus) to the upper or central village .It is also a short walk away from the pristine beauty of Lost Lake. <br/>Special thanks to the very helpful staff at the management company for promptly assisting with a few minor matters during our stay.<br/>Overall, a satisfactory stay for our party of 8 persons. We enjoyed staying in the villas.. In all, a really awesome weekend! 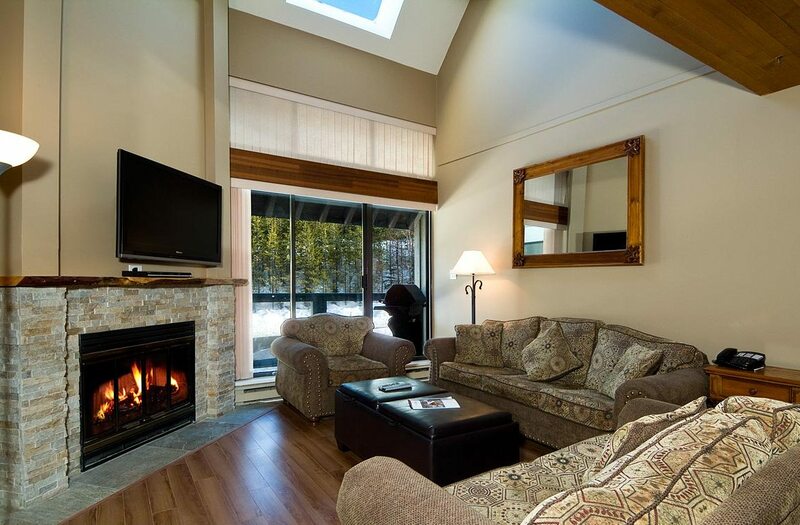 We had about a month left to find a place in Whistler and we found this townhouse. The management was really helpful when we called to inquire about different things we had questions to. Rebekah was extra helpful and friendly and a joy to speak to. Location was good and within 15 mins to the village. Overall good experience with this location and with Blackcomb Peaks. This condo was in a great location. The condo itself was a little disappointing. The furniture in the living room was very outdated and looked like it needed a good clean. The balcony was also much smaller than I was expecting and was pretty dirty. We didn't use the BBQ once as a result which was a shame. The tumble dryer and washing machine were very old and stopped working in our first week but the management company were excellent and new ones were installed within 2 days which was great. Otherwise our stay was a very happy one. Foxglove is perfect with kids with the open grassy areas to play and quick proximity to the village and Lost Lake. The Foxglove was a good rental. Certainly enough space, but just some minor things could have improved it greatly. A map to show us how to get on the trail and out of the complex left in the room would have saved some time. It is a tough ski out with some walking to do, but could be done. I was given the impression that it was an easier ski out and that we were much closer to the village. There was not enough toilet paper left for our stay. The frying pan was so damaged we could not cook on it, but did fine with the griddle available. We could have used 8 chairs at the kitchen table. TV, internet and general living space were great. Generally well kept and lots of space for clothes and gear.